Prime Minister Pushpa Kamal Dahal returned home on Wednesday after completing his six-day goodwillvisit to China. He had flown to Hainan of China on March 23 leading a 12-member Nepali delegation to participate in the Annual Conference of Boao Forum amidst criticism that he was flying to northern neighbour in haste without doing any homework on the agenda of his visit. However, PM Dahal did not heed the criticism and reach Hainan and Beijing where he met Chinese President JiXinping and other Chinese officials. Of course, Dahal wanted to meet President Xi to convince the Chinese President and other Chinese leaders that he was a friend of China. Dahal who became Prime Minister of Nepal in the full backing of India in August last year wanted to meet the Chinese leaders just a month before he was to step down. This is why he even did not heed the request of NC President SherBahadurDeuba to cancel the visit. Dahal flew to China even though he knew well that his Chinese counterpart Prime Minister Li Keqiwang would not be in China. In absence of PM Li, Dahal did not sign any agreement although he expressed his commitment to participate in the ‘One Belt and One Road (OBOR) project of China and implement the agreements reached between Nepal and China in March last year. Dahal tried his best to convince all the Chinese leaders from vice prime minister Zhang Gaoli in Hainan to another vice prime minister Wang Yang in Beijing and even President Xi that he was committed to implement all past agreements and conclude the ongoing Memorandum of Understanding. And he succeeded in his mission. He held a talk with President Xi Jingping at the Great Hall of People in Beijing for over 35 minutes. Before he flew to China, there were rumours that Xi would grant only 10 minutes time for Dahal. 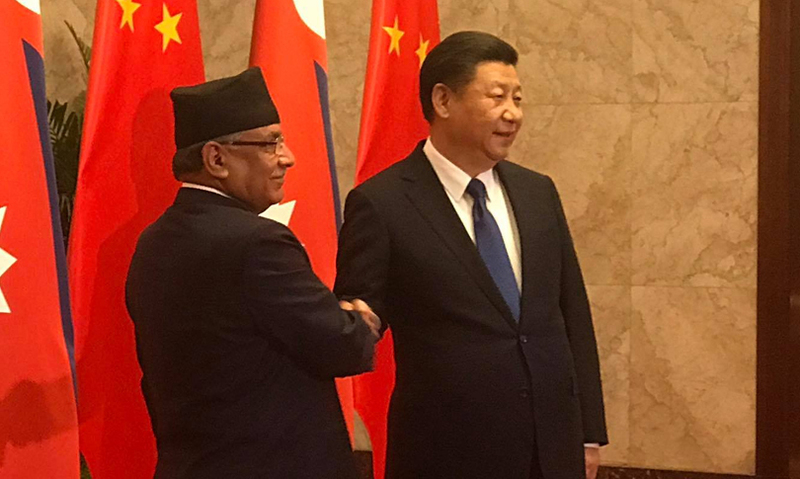 “My bilateral talks with Chinese President Xi Jinping have boosted the level of confidence and trust between the two neighbours,” The Rising Nepal, the official English daily, quoted Dahal. It is noteworthy to mention here that Nepal and China had signed Agreement on Transit Transport and a number of other important MoUs during K.P. Oli’s China visit in March last year, and the Oli-led government was pulled down byDahal in the Indian support to sabotage the agreements. Chinese leaders knew this well, and Dahal who has earned bad name for not sticking in his stance, wanted to correct his mistake before handing over power to Deuba after the local polls in May. However, the media reports suggested that PM Dahal was excited by the response he received from the Chinese leaders in Hainan and Beijing. Dahal termed his meeting with the Chinese President important and fruitful. 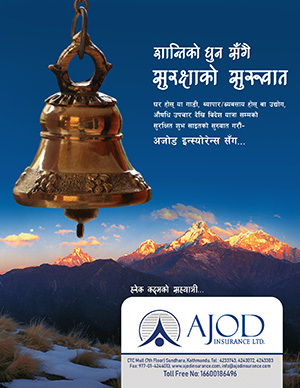 On the occasion, Chinese President pledged nine million Yuan support for the local poll in Nepal. Similarly, PM Dahal had urged the Chinese support to resume the Tatopani border point and to develop the railway connectivity between China and Nepal. PM Dahal had further expressed commitment towards one China policy, adding that the meeting had added an important dimension to the Nepal-China relations. Prime Minister Dahal extended gratitude for the Chinese support to Nepal. He said that he and Nepali people were waiting to see Chinese rail plying from Lhasa to Kathmandu and Lumbini. The Chinese President responded in the positive on all issues Prime Minister Dahal raised in the about 35 minutes long meeting between them. The Chinese President expressed the commitment that he would himself take initiatives in linking the Chinese railway network to Nepal as well as in the development of railway in Nepal. Stating that he and his government were serious regarding operating the Tatopani transit point and other transit points on the Nepal-China border, the Chinese President pledged to work vigorously to that end. However, Dahal returned home without signing any agreement with China as he had flown to China in the ill-time without doing any homework. And his visit to China and the commitments he expressed to sign the OBOR and implement the past agreements is sure to irk India.